Hey there! Thanks for dropping by citygirlbigworld.com! Take a look around and grab the RSS feed to stay updated. See you around! Try Persil Laundry Detergent For Free!! 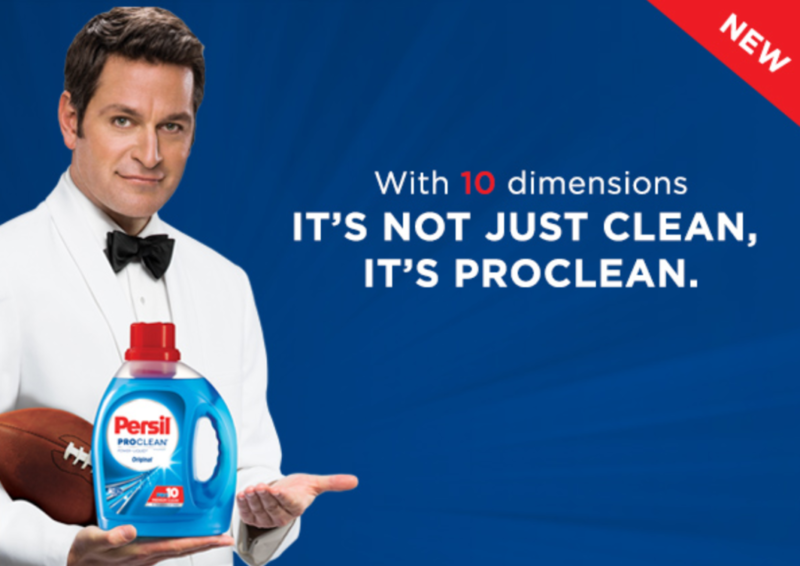 Go here to get a free one load sample of Persil ProClean laundry detergent. Offer limited to one sample per household, while supplies last. Hippo Sak Trash Bag Sample!! Fill out the short form HERE to receive a FREE sample of the Hippo Sac and a 10% off coupon code. 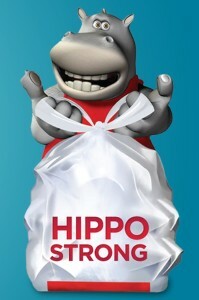 Hippo Sac tall kitchen trash bags are the number one rated trash bag on Amazon. 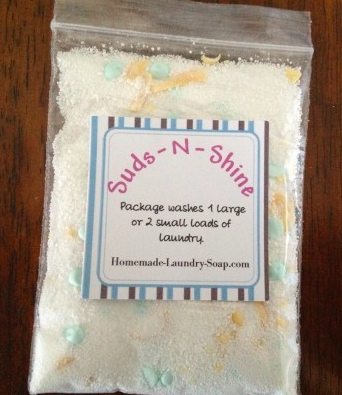 Go HERE to request a FREE sample of Suds-N-Shine homemade laundry soap! Enough soap for one big load or two small washes. Free Plans & Materials To Quit Smoking!! Go HERE to score FREE plans & Materials to quit smoking! Fill out the short form HERE to order your FREE pool test kit! You can measure the pH and chlorine levels in your water and submit your results on an interactive map to compare pool test results across America! Freebies & Coupons From S.C. Johnson!! Become a member of Right @ Home and get coupons and offers for FREE stuff every month! Free Kids N Pets Product After Rebate!! 1) Like Kids N Pets on Facebook! 2) Go to the FREE KNP tab to download the rebate form! **There are a variety of Kids N Pets cleaning products that you can score FREE after rebate! Free Febreze Noticeables After Rebate!! Print out THIS REBATE FORM and mail it in along with your dates cash register receipts to get a $3.50 rebate on one of the following products:Febreze Noticeables scented oil warmer, Febreze Noticeables scented oil warmer 2 pack or Febreze Noticeables scented oil warmer with decorative cover. Dishwasher Magic Free After Rebate!! Get a bottle of Dishwasher Magic FREE after rebate! Dishwasher Magic is used as a dishwasher cleaner and disinfectant! Free Proforce Commercial Floor Cleaning Kit For Sams Club Members!! If your a Sams club member you can grab a FREE Proforce Commercial Floor Cleaning Kit! Click on the get a sample link in the bottom left hand corner! Offer not valid in Alaska or Hawaii. You will receive daily emails keeping you up to date on the new posts from this blog! 5 Free 4×6 Prints @ Walgreens!! Free Sample of Midol Complete!! Free Subscription To Cosmopolitan Magazine!! Free Dolce & Gabbana Light Blue Perfume Sample!! Free Box of Cusa Tea!! Free Elemis Pro-Collagen Marine Cream!! Free Photo Book @ Walgreens!! Philip’s Norelco S9000: The Closest and Most Comfortable Shave!! Free Giovanni Hair Care Product!! LG Double Wall Oven Cuts Cooking in Half: Available @ Best Buy! !